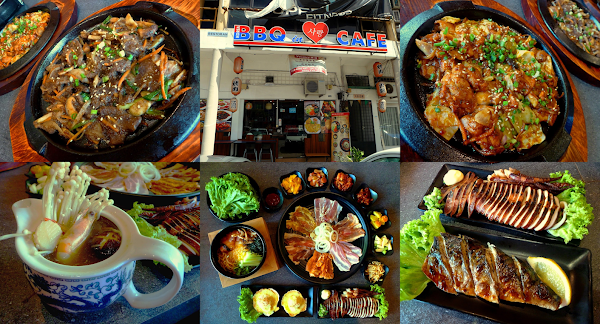 Special thanks to BBQ In Love Cafe for extending this food review invitation. BBQ In Love Cafe, stylized as "BBQ In 사랑 Cafe" ("사랑" is the Hangul word for "love"), is a Korean barbecue restaurant in Raja Uda. The restaurant is within a short walking distance from the famous 7 Village Noodle House (七廊粿条汤). As per tradition, this Korean restaurant is furnished with low tables where customers sit on cushions. Each table is equipped with a gas-fired grill and a ventilator. Customers are requested to remove footwear before stepping onto the platform. Alternatively, proper dining tables are also available. The restaurant is operated by an engineer-turned-chef, who by passion acquired his culinary skills from South Korea. 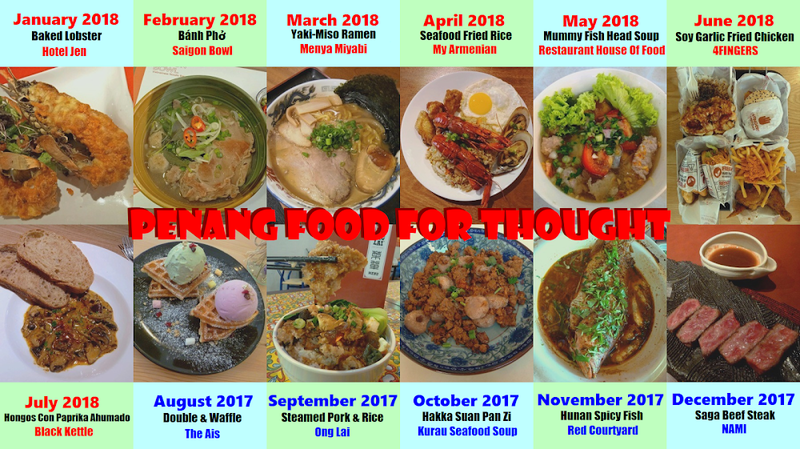 Besides traditional Korean delicacies like bulgogi, dakgalbi, bibimbap and kimchi, the owner also imparted creativity of his own into the food menu. It is learnt that even Korean customers are impressed with his cooking. For barbecued meat, the most economical approach is to select from the set menu. For example, Set B (RM129.90) is designed for 3 persons and includes Marinated Pork, Grilled Saba Fish, Kimchi Soup, Grilled Squid With Butter, Fried Korean Dumplings, rice and ice cream. The centerpiece of this set meal is the platter of Marinated Pork (돼지불고기). There are 5 types of pork with different marinade (homemade sauce, Korean sauce, BBQ sauce, black pepper sauce, kimchi sauce) and a non-marinated version. The staff usually does the cooking, but if customers prefer, they can help themselves too. Once cooked, meat is usually wrapped in cabbage and eaten by hand. The restaurant also provides sweet-savory sauce which is very similar to gochujang (고추장). The sauce is prepared in the kitchen from scratch. At BBQ In Love Cafe, every customer is treated with 3 complimentary side dishes (반찬). For set meals, 6 types are provided: napa cabbage kimchi (배추김치), pumpkin (호박), sausage (소세지), potato (감자볶음), cucumber (오이무침) and bean sprouts (콩나물). These side dishes are made in-house and are also available for purchase in bulk. Of particular mention is the pumpkin which has unique tanginess and crunchy texture, making it easily mistaken as unripe mango. The pot of Kimchi Soup (김치찌개) is loaded with ingredients such as pork, tofu, enoki mushroom, onion, scallion and kimchi. Compared to kimchi soup from other Korean restaurants, BBQ In Love Cafe's version is much sweeter because the kimchi is not fermented for too long, resulting in kimchi with sweetness as opposed to sourness. As for Grilled Saba Fish, the mackerel is seasoned with sweet soy sauce. A squeeze of lemon helps to enhance flavor substantially. Meanwhile, the Grilled Squid With Butter is best enjoyed when hot because it becomes noticeably tougher after a while. Fried Korean Dumplings (군만두) is filled with minced pork and comes in a plate of 6 pieces. The fillings can be quite hot, so use caution when biting. Although the Korean name "mandu" (만두) comes from the Chinese word "mantou" (馒头), it is actually more similar to jiaozi (饺子). An order of Cheese Big Scallops (RM14.00) comes in 2 pieces. Each shell is covered with a thick layer of molten cheese. The cheese is best enjoyed when warm and sticky. If allowed to solidify, the cheese loses its appeal and becomes somewhat disconnected from the scallops. Dak Galbi Chicken (닭갈비, RM29.00) is one of the most popular Korean dishes in Malaysia, probably due to the influence of chain restaurants like Mr. Dakgalbi. Chicken is seasoned with gochujang and then fried on a sizzling hot plate with cabbage, onion, scallion and sesame seed. What makes BBQ In Love Cafe different is the use of fruit juice to marinate the chicken. This results in chicken with fruity sweetness amid gochujang's spiciness. This dish is highly recommended. As for Bulgogi Beef (불고기, RM38.00), it is very sweet but not in a surfeiting manner. The sweetness also comes from fruit juice, which is blended from fresh fruits. Although more expensive to prepare, I think it is a good call. Again, I recommend this dish to anyone who takes beef. Next up, Korean Cheese Pork Rib (치즈등갈비, RM35.00) is also served on a hot plate. This dish is a recent invention because cheese is not a common ingredient in Korean cuisine. When the cheese is still hot, it fuses well with delectable chunks of pork ribs. I feel that the pork chunks are quite salty when eaten directly. This is because this dish is meant to be eaten with rice. The next dish, Seafood Pancake (해물전, RM25.00), is often eaten as an appetizer (전채) or a side dish. It is also popularly consumed with alcohol (안주). The pancake is loaded with generous amount of shrimp and squid, and meant to be eaten with sweet dipping sauce made from soy sauce, vinegar and chili pepper. Bibimbap (비빔밥, RM19.00) is another popular Korean dish within and outside Korea. Literally meaning "mixed rice", the stone pot of rice is topped with pork, egg and a variety of seasoned vegetables (나물). Gochujang is added and all ingredients are mixed thoroughly, using the hot surface of the stone pot to impart toastiness. For people who prefer something more watery, Teapot Sake Scallop is a sound choice. The teapot is filled with rich soup infused with sake (酒), which is Japanese rice wine. Also included in the teapot are scallop, shrimp, shiitake mushroom and enoki mushroom. 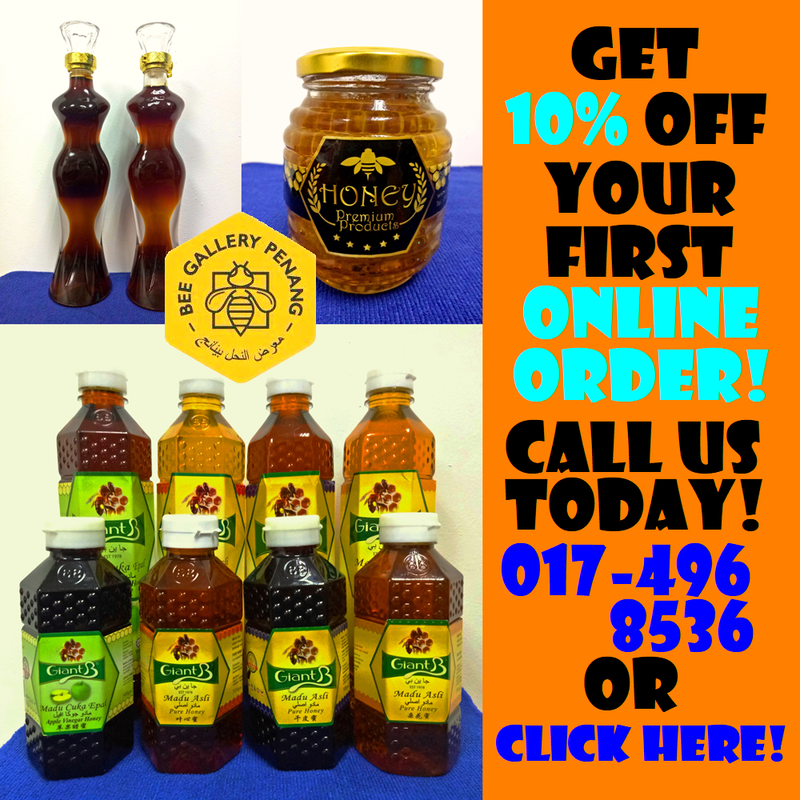 As for drinks, Honey Aloe Vera (RM5.90) is on the sweeter side of things. I think less sugar is recommended as aloe vera is sufficiently sweet on its own. Meanwhile, I find the Passion Peach Green Tea (RM6.90) to be satisfying indeed. Fly Juice (RM8.90) is served in a container which is meant for the customer to keep. This fizzy and fruity drink is a good remedy to combat thirst. If you are in the mood for alcohol, Bokbunjajoo (복분자주, RM50.00) is highly recommended. This Korean wine is fermented from black raspberry which is only found in southern parts of the Korean peninsula. Served chilled and taken in small sips, Bokbunjajoo is prized for its soothing sweetness as the fruit wine trickles down the throat. BBQ In Love Cafe serves set lunch on weekdays. With attractive prices starting from RM9.90, the meal includes a main dish, green tea and soup. In addition, each customer who spends RM80.00 or above shall receive a RM10.00 discount voucher for the next visit. Directions: From Jalan Permatang Pauh, turn right into Jalan Raja Uda. Drive northbound for approximately 800 meters. BBQ In Love Cafe is located at a row of shops on the left just before Petronas gas station. There are plenty of car park spaces around the restaurant.